Buying a car is an expensive business and mistakes can prove costly financially and in time, effort and stress. Wouldn't it be great if you could take an expert with you? With the aid of this book's step-by-step guidance from a marque specialist, you can! You'll discover all you need to know about the car you want to buy. The unique points system will help you to place the car's value in relation to condition while extensive photographs illustrate the problems to look out for. 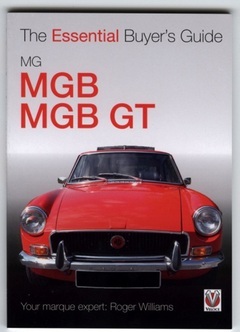 This is an important investment - don't buy an MGB without this book's help. Book size is 5.5" wide by 7.5" tall and is 64 pages.